Reach Out, Make An Effort Save Indian Handicrafts! Kanika Pal, founder SoCHE foundation (which stands for Solutions for Clean and Healthy Environment) talks about the determination and effort it takes to change the world while driving innovation in handicrafts and getting everybody together for their own benefit to make the world Go Green. I am trying to drive innovation in traditional handicrafts especially in remote interiors of our country, that have either not yet been commercialized or have already died. As per UN reports, India has already lost 30% of its artisans in the last 30 years. By providing a platform between rural artisans and urban consumers, I am helping in enhancing their livelihood generation and ensuring marketing of unique / lesser-known handicrafts from India. I am in particular looking at handicrafts from an environment lens, either promoting the ones that are eco-friendly or helping the manufacturing process itself become environmentally sustainable on the whole. 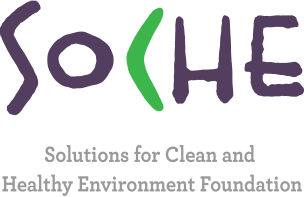 The goal of my social enterprise – Solutions for Clean and Healthy Environment Foundation (or SoCHE Foundation) is to enhance the income of 10 million people dependent on natural resources by 2025. After I quit my corporate job last year, I travelled to the interior of Barmer, Rajasthan to identify handicrafts that need mainstreaming. Today, a year later I am helping women in the villages within a 50 km radius from the border area to develop the lesser known hand embroidery called ‘Kalavat’ into innovative designs and products. I have showcased garments with Kalavat through a fashion show themed “Handicraft for Conservation” on World Environment Day this year. This festive season especially I curated a handcrafted carnival – both online and offline. When I began, I did not imagine that in just three months it would lead to connecting and empowering over 50 artisans and home-makers/ entrepreneurs from the semi-urban and rural corners around Delhi, Uttar Pradesh, Madhya Pradesh, Rajasthan and West Bengal. Products ranging from terracotta diyas, designer lamps, decorative items, fridge magnets to paper mache baskets, bamboo ear rings, Kalavat cloth necklaces, natural soaps and a lot more. Make in India, Skill India will have no meaning if we do not see this sector as a critical part of it. Handicraft making is after all the second largest employment generator in the country after farming. However, the trend unfortunately has been to first de-skill these artisans (as middlemen make most of the profit) and then talk of re-skilling them with other vocational trainings. The conversation needs to change. What this means is that we need to augment their core skills of being an artisan with appropriate market linkages, rather than replacing their skills with other vocational training. Even CSR programmes under themes of livelihood generation, skill India and empowerment need to help the sector urgently and help it find its grounding within the villages only. Poverty cannot be fixed by addressing just the income aspect. . The longer one works with a community, the more obvious it becomes that the issues are all interconnected — health, housing, environment, education, income-generating opportunities, etc. Crafts and handlooms are not only our heritage, but can offer a global comparative advantage. Internationally there has been a rising demand for handcrafted products as the market for handicrafts stands at $400 billion globally. However, India’s share is below 2% in this market, presenting a tremendous growth opportunity. I sincerely hope that in the coming years, we see the ecosystem evolving and improving the condition of the artisans in the long-run, helping them sustain better and live a life of dignity. This is my mission. Very simple everyday things in life inspire me. For example, amidst Delhi’s pollution, the first shoot of the cucumber creeper that I planted in my balcony inspires me to fight the odds. Trekking in the Himalayas, being in the jungle on a safari, being one with nature inspires me to advocate for its well being for as long as I am alive. Positive stories, especially of the resilience and goodness of village people inspire me to do what I do. When I go to Barmer, I work with the Muslim community. I have meals with them, laugh with their children and chat with the women on what it means to be a city woman. I come back to the city and hear conversations around “intolerance”. It doesn’t match up for me. There is a lot of goodness around which is so inspiring, you just need to have the lens to identify it. I was always very creative and excelled in extra-curricular activities as a child. I liked painting, acting and public speaking. I wanted to be a newsreader on TV at one point of time. Then I wanted to be an RJ. Soon enough I realized that it was too boring to do the same thing day in and day out at one location. I was also critical enough of myself to understand that perhaps I don’t have the right voice quality to be good at these jobs. Eventually, I pursued mass communications and joined the public relations industry. After working there for two years I quit it, as my passion for the environment propelled me to shift gears. I joined an environmental NGO and handled communications and advocacy for it for another two years. From there on I joined Apollo Tyres to lead its environment initiatives under corporate social responsibility. After working at Apollo for over six years, when I wanted to quit to start my own social enterprise for which my family was very supportive. They always have been privy to all my plans and never had a problem. From being a commerce student to graduating in English literature (from Miranda House, Delhi university) to post graduate in mass communication (from Sophia Polytechnic, Mumbai) to masters later in Corporate Social Responsibility (from Asian Institute of Technology, Thailand) – I think I have been constantly re-inventing myself. 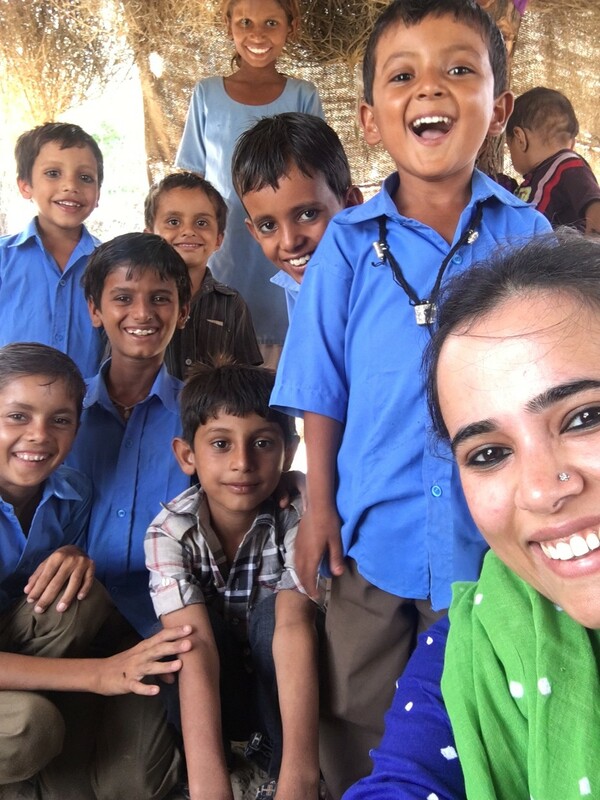 My peers thought I was being very gutsy in not just quitting my well-paying job, but going to a remote locations in Barmer all alone, especially the villages one had not even heard off. As a young educated woman, I was at an advantage when it came to taking my decisions and living through them. All the exposure I have had thus far, gave me a sense of confidence to believe in what I was doing. Most importantly, I could comfortably travel to different locations and identify the handicraft I wanted to work on. In the community development projects, though, it does not matter if you are educated or not. It boils down to winning the trust of the community whatever be your education. You just have to do what you decide, with utmost honesty. But the biggest hurdle so to say has been from people I was approaching for funding/partnerships. Being a new organization it is always challenging to make people believe in your vision. Even though I came from the CSR fraternity myself, as soon as I jumped to this side of the fence I got tagged as “NGO wali”. I have faced rude behavior from some of the CSR heads in top companies, to disinterest from few industry people and ex-colleagues to help out. The only way to overcome these hurdles was to stop expecting and keep moving till you find the right partner to associate with. Being a woman entrepreneur is a wonderful experience, though not an easy one. If you like a sense of adventure, making a difference gives you a high and you are able to take risks, entrepreneurship could be your cup of tea. However, if you like working in a system, with a definite salary at the end of the month entrepreneurship may not be for you. – Have a clear goal / vision of what you want to achieve. Make sure you have a product or service that fills some gap for the consumer. – Network, network, network. As an entrepreneur it is very important to network as a practice everyday. – Get quick wins with low hanging fruits so that it helps you create a buzz and secure relevant partners easily. Partnership is crucial to growth. – Build your team very carefully, hand-in-hand with ensuring cash flows. Invest in the right people who share your vision.